Toddler George’s favourite bedtime read right now doesn’t actually involve a lot of reading. 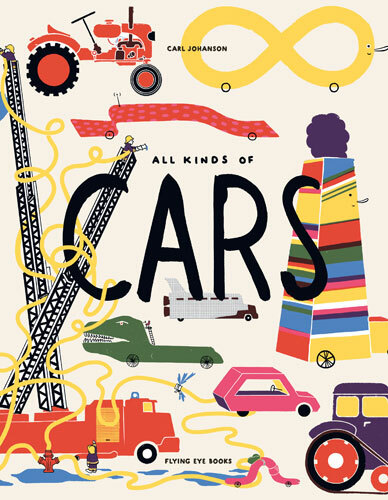 But All Kinds Of Cars by Carl Johanson (Flying Eye Books) is a lot of fun. 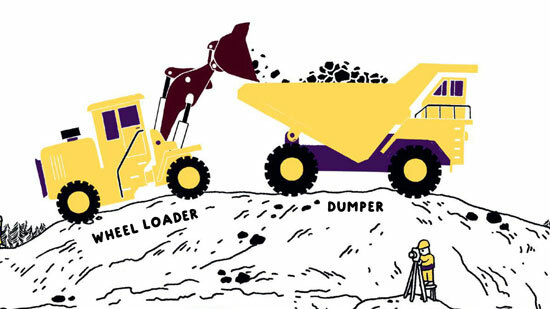 It’a a large format book featuring – you guessed it – ‘all kids of cars’. Not your typical cars either. 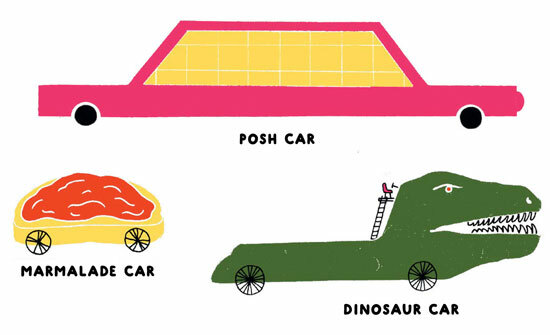 Oh no, this book has everything from the Dinosaur Cart and the Cake Car through to the Hat Car and the Glove Car, with pretty much every bit if silliness you can think of in-between. Some wonderful and colourful graphics on every page from Swedish illustrator Johanson, some well-produced themed pages too (mining, farming, fires and so on) and a great diversion for any young child who loves cars. And let’s be honest, most of them do. The book covers 30+ pages and is available to buy online, selling for £12.08 at Amazon.